Could Impress: Tim Tebow. The Bills have fallen off the map after their fast start, and a big reason is the play of the defense. Buffalo is giving up 165 rushing yards a game and has struggled horribly against mobile quarterbacks. 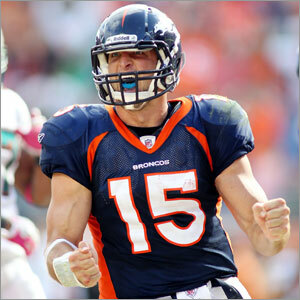 Tebow’s pass numbers have been better the last few weeks, so expect a good mix of rush and pass numbers for #15. Could Disappoint: Eli Manning. The ‘other’ Manning is coming off his worst game of the season and has a tough matchup with the Jets this weekend. If we know one thing about Eli, it’s that he forces the issue in pressure games. If you’ve got other good options, you might want to consider sitting Manning. Injury Replacement: Matt Moore. Give the guy credit; he’s been an above average quarterback this season, putting up double-digit fantasy points in more than half of his starts. The Patriots have allowed less talented quarterbacks to put up big fantasy numbers this season. Moore’s a decent play this week. 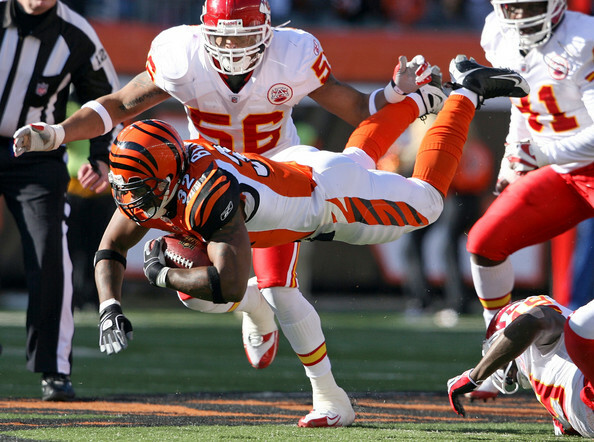 Could Impress: Cedric Benson. He’s getting plenty of work, carrying the rock at least 20 times in three of the last four weeks. Arizona’s run D is giving up fantasy gold this season, with opposing rushers averaging more than 17 points a game. Could Disappoint: Steven Jackson. He’s had just one rushing TD since week 9 and he’s not getting much help from the passing game. Considering the Rams are going up against a tough Steelers defense, Jackson is a borderline starter at this point. Injury Replacement: Sammy Morris. Keep an eye on Dallas’ injury report. Felix Jones has missed a pair of practices, and Morris looked very good in a reserve role last week, rushing for 53 yards on 12 carries. If Jones can’t go or is limited, Morris could be an incredibly good flex play.